I have been traveling a tonne lately - boy would this be awesome to have! 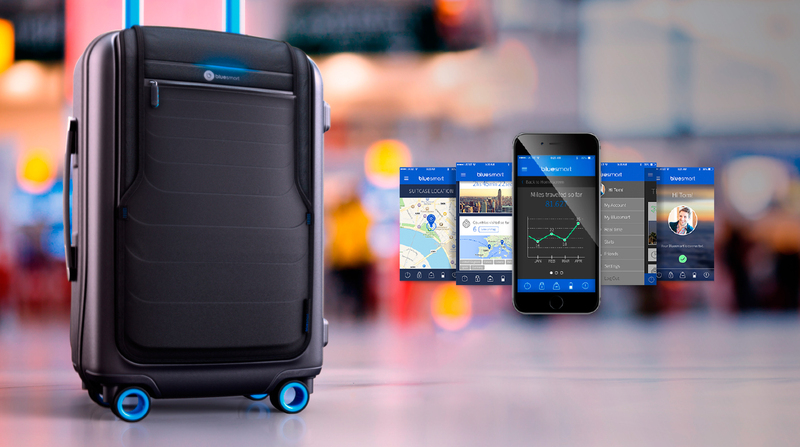 Bluesmart is luggage made for the 21st century - a high quality carry-on suitcase designed to work together with your phone. The team have really put a lot of thought into the pains and nuances that surround air-travel and have put together a indiegogo campaign so travelers like myself can get all high tech and cool. All of these cool features for only $260 USD (RRP $450 USD) - it is no surprise to see that almost 6000 funders have gotten on board with this campaign and see their $50,000 USD target be blown out to just over $1.3 million USD - with just over four days remaining! The team have done all their relevant homework and field testing to ensure that the extra electronics integrated into the suitcase will not cause raised eyebrows at security checkpoints and have received various certifications to help ensure you can get on your way easily. It is great they have a Travel Sentry® Approved lock so the TSA wont go ripping your suitcase open - but when would you be checking this in? With all of these electronic gizmos inside gaining extra attention you surely would be stupid to stash contraband in there as well. It seems to be an all-in-one great suitcase, just a pity shipment wont happen until July 2015!